Da Hong Pao oolong was an imperial favorite during the Qing dynasty (1644-1911) and is the most famous of the celebrated varieties of yan cha. 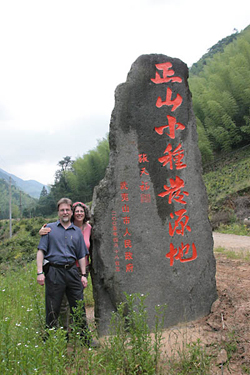 Today, Da Hong Pao is still renowned throughout China for its deep, rich flavor. Four ancient Da Hong Pao tea bushes still grow in an outcropping that is located alongside a steep cliff wall in the Wu Yi Shan. But leaf from these bushes is not plucked for commercial sale – Da Hong Pao for sale today is plucked from tea bushes that are the cultivated offspring of reputable old tea bushes that grow in the nearby area. Our Da Hong Pao Hua Xiang is unique because of the particular cultivar, location, and growing conditions required to produce this delicious tea. This selection is a ‘Hua Xiang’ which translates as: ‘having the aroma of flowers’. Because oolong manufacture is all about the balancing of flavor between the oxidation and the roasting, and bringing out the natural floral goodness of these teas, a Wuyi Shan strip style oolong that is floral without being too roasted is a real treat. Most Da Hong Pao oolongs are extremely complex. 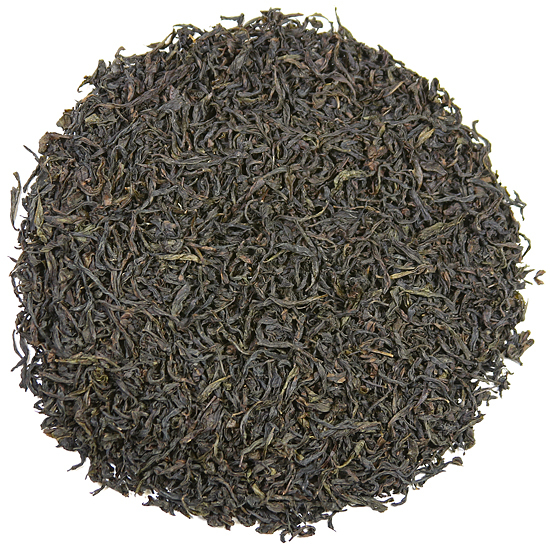 Tea Trekker’s Da Hong Pao Hua Xiang is in the medium-to-light style and has a particularly nice aftertaste. Aftertaste is known in China as ‘returning flavor’. We find this aspect of tea flavor to be quite important and a very positive factor when we select yan cha. 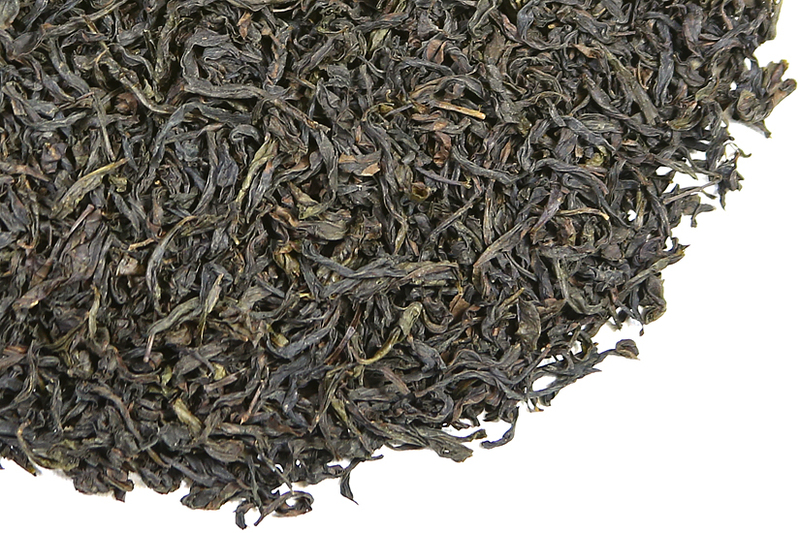 Da Hong Pao Hua Xiang also has what is known as ‘high fragrance’. We were quite taken with the aromatic qualities of this particular lot of tea. We most recently had this cultivar from the 2015 spring harvest, and we really liked that vintage pluck. We never really wanted to source the 2016 – it just didn’t ‘speak’ to us, so fortunately we were able to procure more of the 2015. So when we tasted the 2017 it was clear that we would move right from the 2015 to the 2017 harvest. We feel very excited about the 2017 harvest and think that you will too. You should find an abundance of floral notes in this yan cha, but they are tempered and complimented by the classic dried fruit aroma and flavor that is expected in a premium Wu Yi yan cha. Each infusion brings out a new dimension of flavor. The floral nature of this tea is not cloying; in fact, the stony backbone of this tea tempers its sweetness perfectly. This Da Hong Pao is full and rich and without astringency. It is drinking very well now and will continue to do so for several years. We have put some aside personally for ‘resting’ for several years, as we think this lot will age quite nicely and develop into an even more stunning Da Hong Pao.